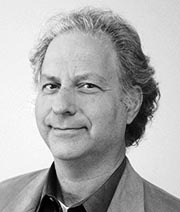 Nelson Morgan is a speech researcher at ICSI and former director of the institute as well as a professor in residence emeritus at UC Berkeley. He has led the speech research effort at ICSI from 1988 through 2012 and has been working in speech processing since 1980. With Hervé Bourlard, he was an originator of the "hybrid system" approach to speech recognition (neural networks used probabilistically with HMMs), and with Hynek Hermansky was the co-inventor of signal processing techniques that were used in millions of cell phones.